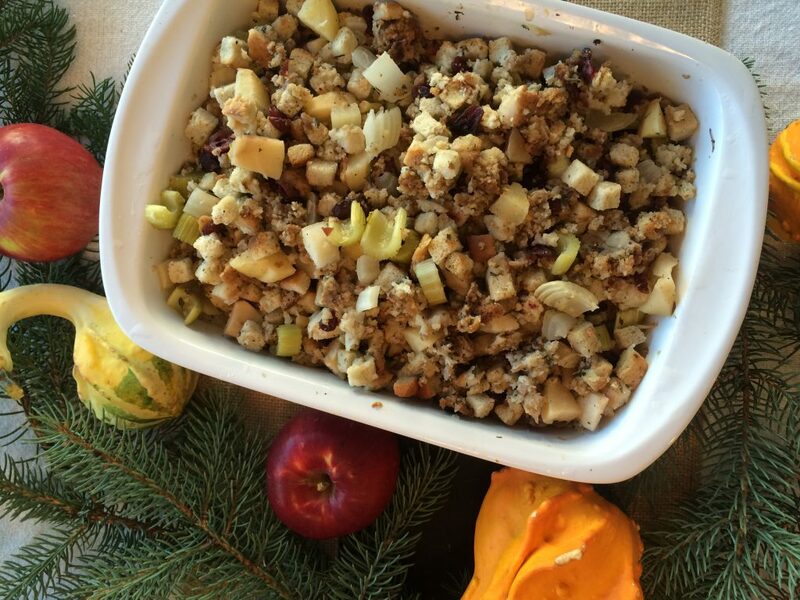 Doctor up your favorite stuffing mix or bread crumbs by adding in sweet apples, fresh herbs and a hint of immune boosting garlic. You can also mix in sausage and Fall fresh cranberries for an extra flavorful dish. 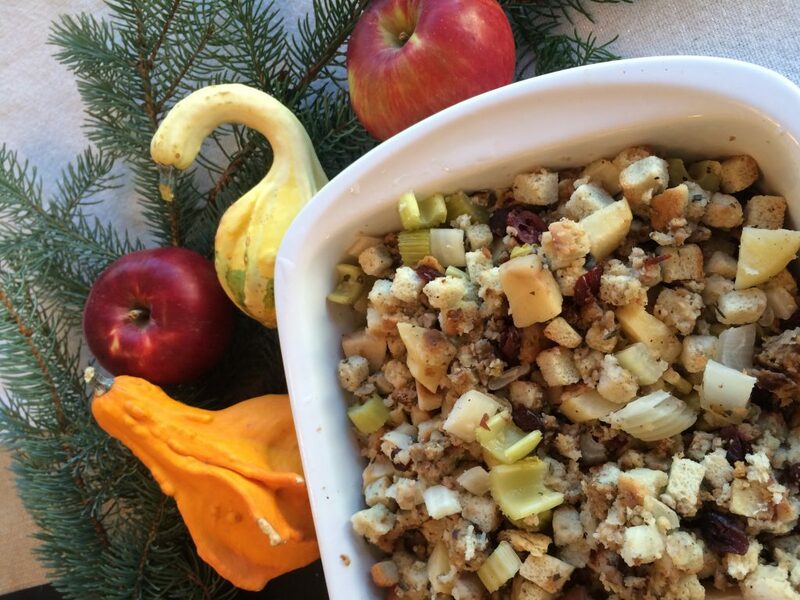 This stuffing is easy to prepare and doesn’t have to just be served with your Thanksgiving turkey. This makes for a perfect side dish to any warm, winter, comfort food meal. Combine all the ingredients together, put in a baking dish, cover with aluminum foil. Bake at 350 for approximately 45 minutes or until reaches desired texture. This stuffing is very forgiving! Do not be afraid to add your favorite ingredients.